Saving energy is not only good for the planet, it is also good for your pocketbook. 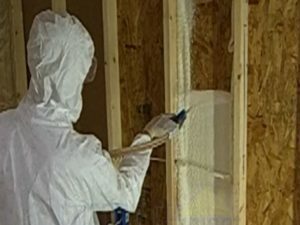 Spray foam insulation is one giant step you can take to make your home more energy efficient and comfortable no matter what the weather is like outside. We in the Chicagoland area are used to extreme temperature swings. 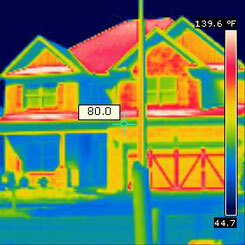 But your heating and cooling bills needn’t swing so wildly if you have a home or building that is insulated with eco-friendly spray foam. Creating an impenetrable and wall-to-wall barrier, spray foam insulation gives you a thermal barrier that keeps your spaces comfortable. It can penetrate where no other kind of insulation can and won’t sag or lose its loft over time like conventional insulating materials can. 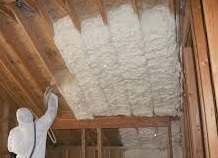 Spray foam insulation is the smart choice for savings in dollars and cents and energy savings. If your home is more than a few years old, you might be experiencing a loss of comfort due to sagging batt insulation or shrinking blown in insulation. Don’t replace old insulation with more of the same, upgrade your insulation and your energy efficiency with clean, effective and eco-friendly spray foam insulation. Our service technicians are available throughout DuPage County including Naperville zip codes 60540, 60543, 60564, 60565, 60566 and 60567. Please give us a call today at 844-441-8815 for a complimentary quotation and foam type assessment.